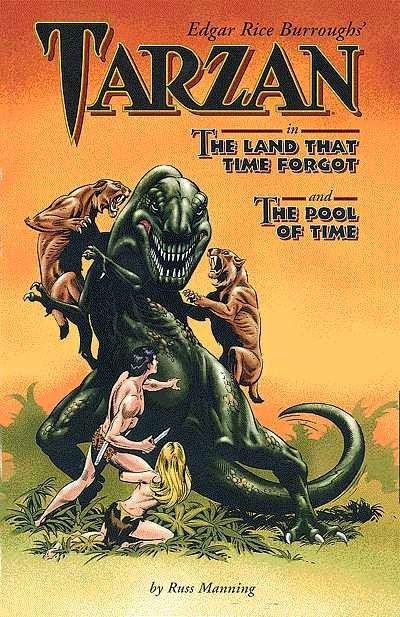 The ever amazing Russ Manning, taking Tarzan to Edgar Rice Burroughs' Caspak, giving Russ a chance to draw beast men, dinosaurs, and winged cannibals. Manning was very good at recreating the atmosphere of ERB's original stories. I've read this book many times.